I have been the happy recipient of two jars of this lovely body scrub, this most recent batch from my friend, and last Christmas, a similar jar from my sister-in-law, so I never had to make myself a jar. Happily, my friend included the recipe so I could make some more when I ran out. And lucky for you, she's letting me share. I love Weeknight Projects: the kind you can whip up after dinner, while watching a movie, or after the kids have gone to sleep and you sneak a cup of tea and a few moments to yourself. They usually involve products around the house or inexpensive items. 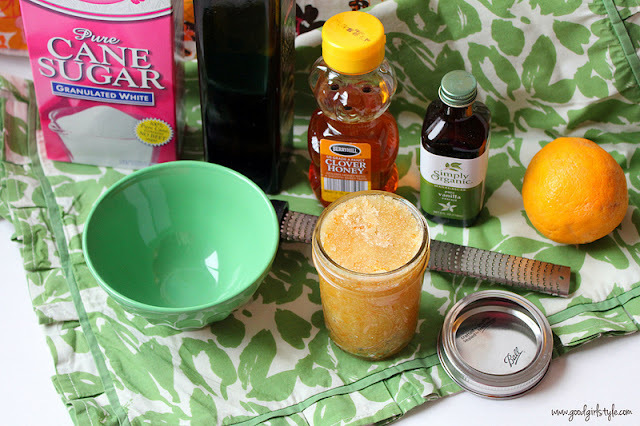 This sugar scrub is no exception! With a few basic pantry ingredients, you can create an indulgent, pretty, and useful sugar scrub. 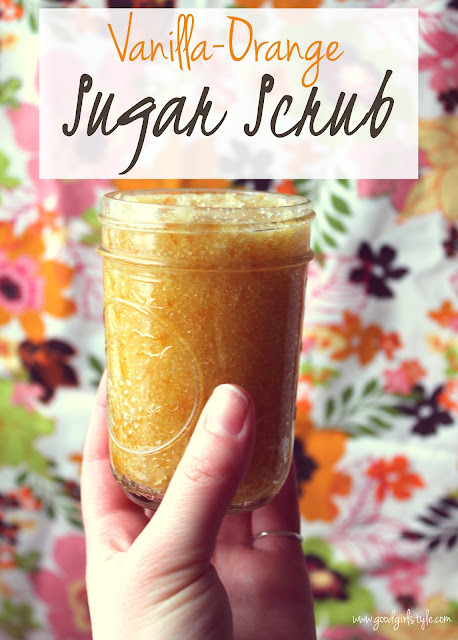 Unlike other exfoliating sugar scrubs I've tried, this one isn't too oily, so you don't need to worry about it making your shower slippery. It is especially indulgent to use before shaving. 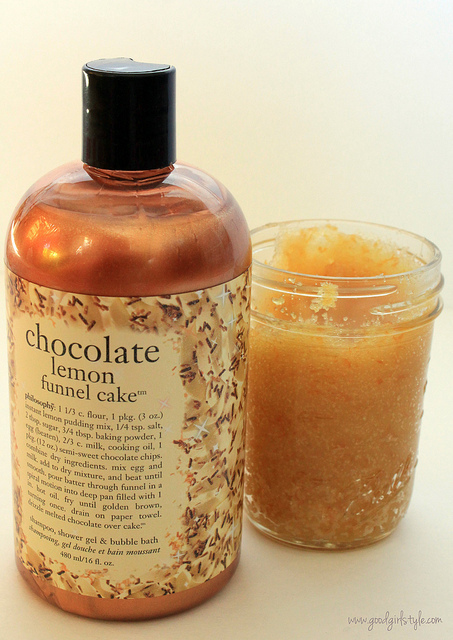 I recommend following up with a lovely body oil right out of the shower to seal in that soft skin! My friend sent along the Refresh scent (Green Tea & Grapefruit) from this line. Mix thoroughly and keep in a jar in your shower. Rub all over body to exfoliate. Rinse well. I picked this Philosophy body wash/shampoo up on clearance after the holidays. It smells truly fantastic (as all of their products do), and it coordinates so nicely with the scrub! I can't be the only one who gets a kick out of having color-coordinated shower products, right? Right? Ahhh, don't you feel refreshed now? This looks heavenly! And it's so simple to create! How long can the scrub be kept for or will it never 'go off'? It really is on both counts :-) I can't imagine it would go bad any time fast, but mine never lasts long, it's so wonderful I want to use it all the time. I do recommend keeping a lid on it, though, as the top tends to dry out and solidify.